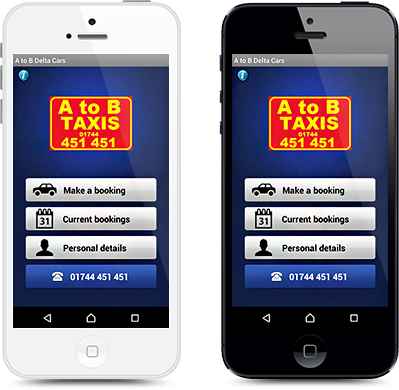 If you looking for a taxi, call the experts AtoB Taxis Established since 1991 we are one of the biggest and busiest taxi companies in St.Helens. With 3 offices in the town centre, all of which are operated by highly professional and dedicated members of staff, we can deal with all your travel needs. Each of our offices has the latest autocab booking and dispatching system which is equipped with Satellite Navigation. We offer a free ringback and textback service which alerts you when your vehicle has arrived. Giving you a fast and efficient service. All of our drivers have passed the Road Passengers Vehicle Driving NVQ Level 2 examination and are CRB checked. All our vehicles are M.O.T. tested by St.Helens Council examiners every 6 months, therefore ensuring safety to the customer at all times. With over 150 4 seater vehicles 5, 6 & 8 seater minibuses and wheelchair accessible vehicles we are able to supply a vehicle that suits your needs. Whether you’re an individual or a business we can take care of your taxi requirements and offer a personal service tailored just for you. Please use the form below to calculate the Fare or make an on-line advanced booking. © Copyright 2017 A to B Taxis. All Rights Reserved.